The information you supply will be provided to Eagle Pharmacy, the company administering NEXIUM Direct on behalf of AstraZeneca or its affiliates, for the purpose of fulfilling your prescription. Personal health information will not be rented or sold and will be secured. Eagle Pharmacy may use this information to contact your health provider or insurance provider for information relevant to this request. 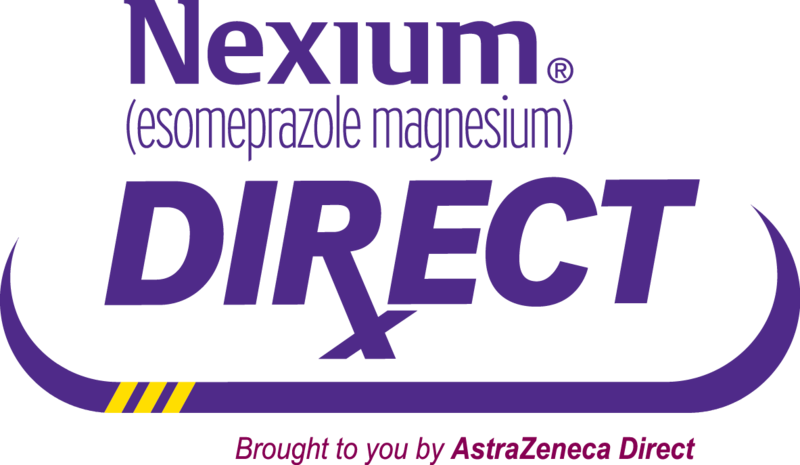 NEXIUM and NEXIUM Direct are registered trademarks of the AstraZeneca group of companies.